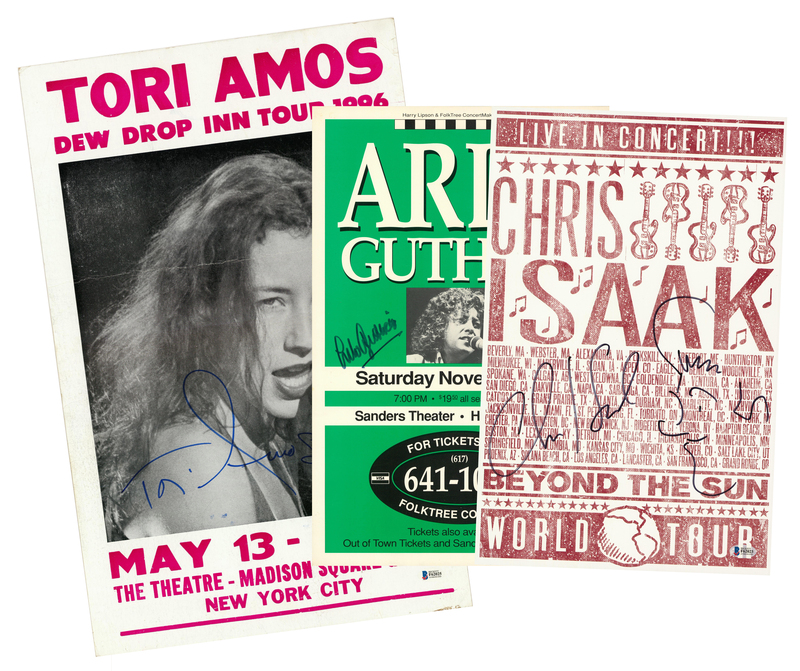 Offered here is a collection of three musicians signed posters. 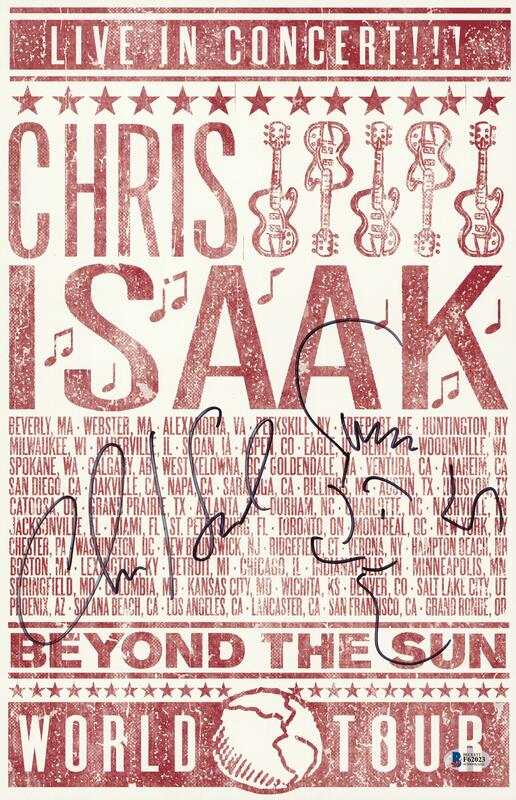 The first poster has been signed by Chris Isaak in black marker. The poster is from his “Beyond the Sun” world tour and measures 17 x 11 inches. 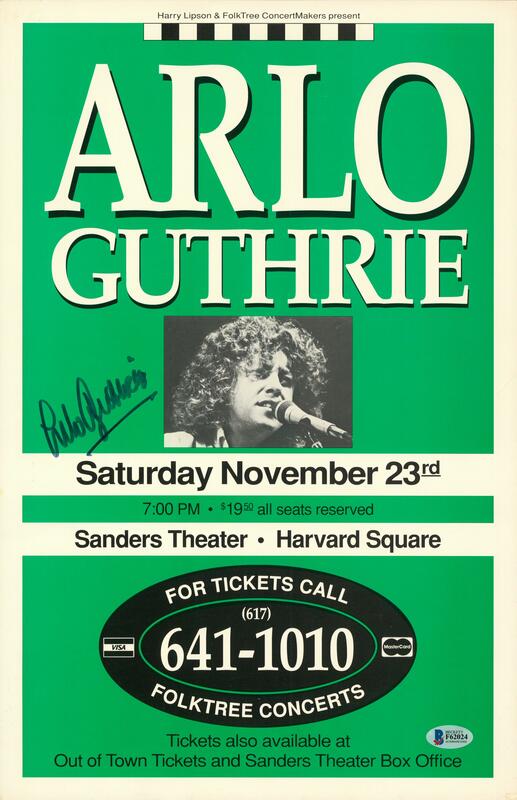 The second poster is from an Arlo Guthrie concert at Sanders theater in Harvard Square. 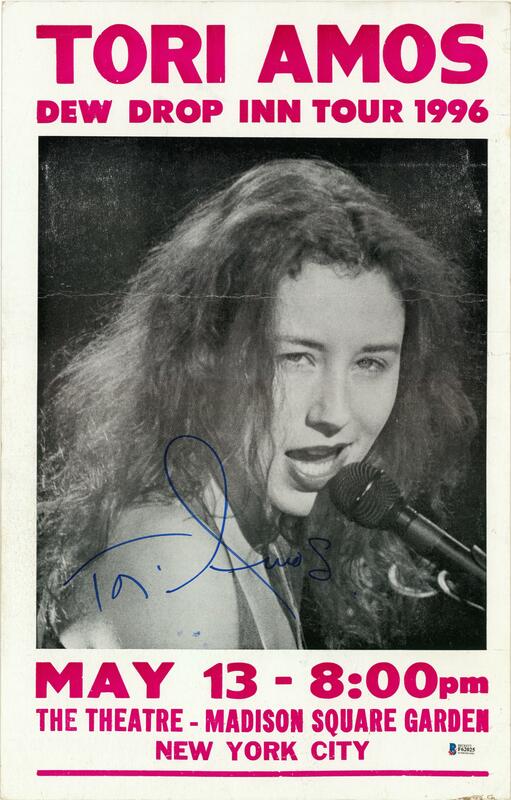 Guthrie has signed this 17 x 11-inch poster in black marker. 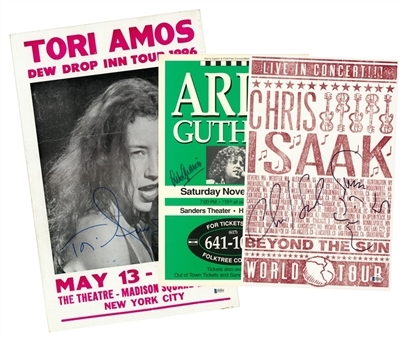 The final item in this lot is poster featuring Tori Amos from her 1996 Dew Drop Inn Tour. Amos has signed this poster in blue marker. It measures 22 x 14 inches. Each item in this lot comes with a COA from Beckett Authentication Services (F62023, F62024, F62025).